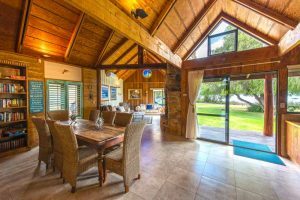 Beach House Dunsborough is the only place in the Margaret River wine region you can step from a beautiful beach house onto a white sandy beach with stunning ocean views, protected from the afternoon sea breeze. Only 2½ hours from Perth, Dunsborough is the closest and best part of the Margaret River wine region. 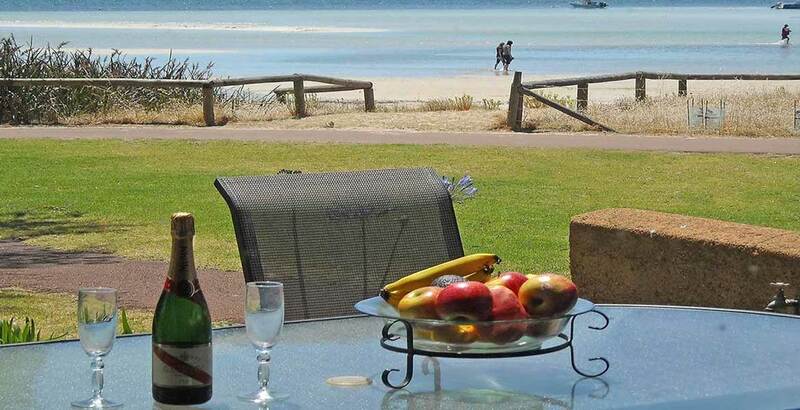 Your Dunsborough accommodation is surrounded by award-winning wineries and beautiful beaches. 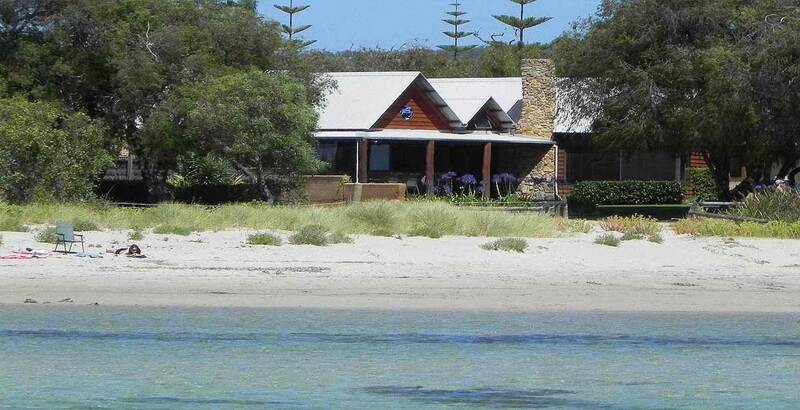 And the Beach House Dunsborough is the best of the best. 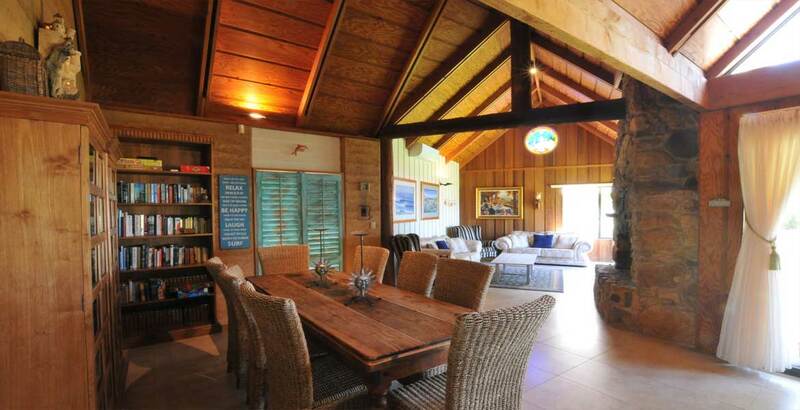 It’s the closest accommodation to the beach in the whole Margaret River wine region. Dunsborough is the only beach town in the Margaret River region facing north, sheltered from the strong sea breeze. 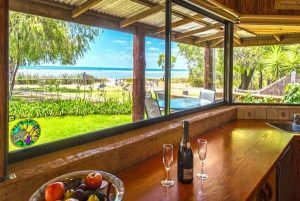 This means you can enjoy a world-class wine or BBQ here at this Dunsborough Beach House in the afternoon, without the wind you’ll find in other coastal towns. 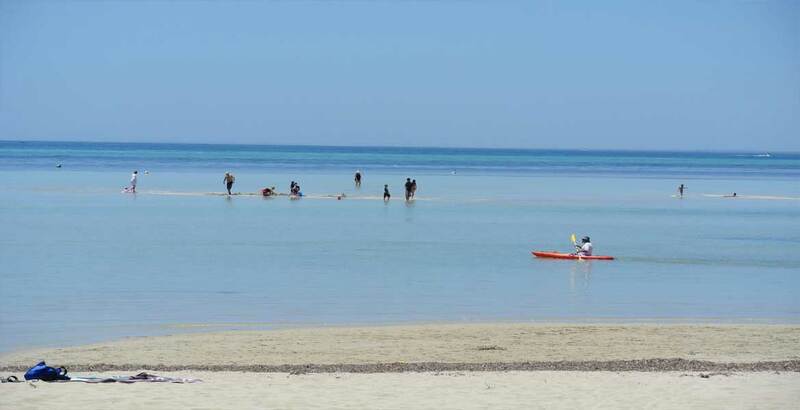 And it’s just a 5 minute stroll to Dunsborough’s pretty shops, cafes and bars, so you don’t even have to drive. The Beach House itself is fantastic – packed with architectural features including 4 stylish bedrooms, 3 bathrooms, and sweeping ocean views across a dazzling, sheltered sandy beach right outside your door. 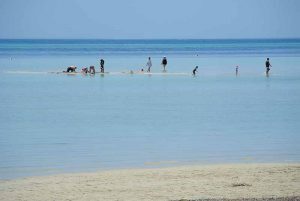 The different shades of blue sea and white sandbars to walk on are stunning. The Beach House’s rammed earth design is both modern and natural, for a down south holiday with everything – including ocean views, ensuites, air con, big screen TVs, European kitchen and stone fireplace at your luxury Dunsborough accommodation in Western Australia. Stunning features at the Beach House include comfortable lounges to watch the beach, original art from around the world, historic Indian temple prayer stones built into rammed earth walls, and eye-catching art created from vintage French champagne foils, celebrating wine and food. And that’s what you’ll love here at the Beach House – the rare combination of a beautiful beach house, fine local wine and gourmet local food. 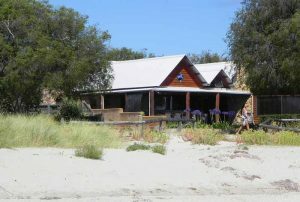 OUR PRICE GUARANTEE: Book our beachfront holiday house accommodation in Dunsborough direct and we will beat any price you find online! 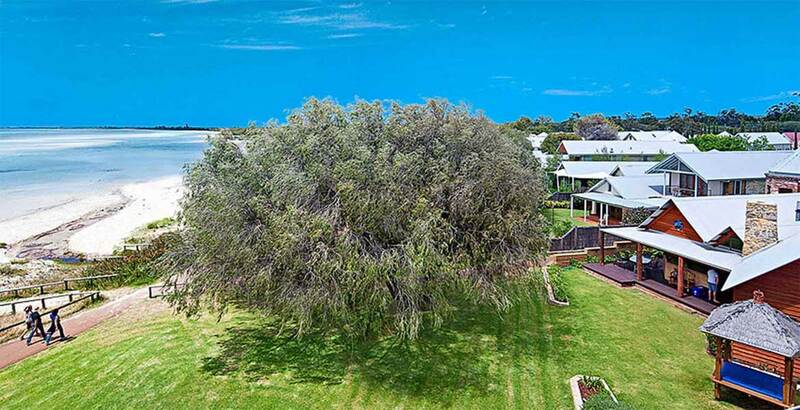 See Beach House Dunsborough photos for more features including gourmet outdoor BBQ with pizza oven, two master bedrooms with their own big ensuites, and streaming on the lounge room satellite HD TV including FoxtelNow, Netflix and Kayo. 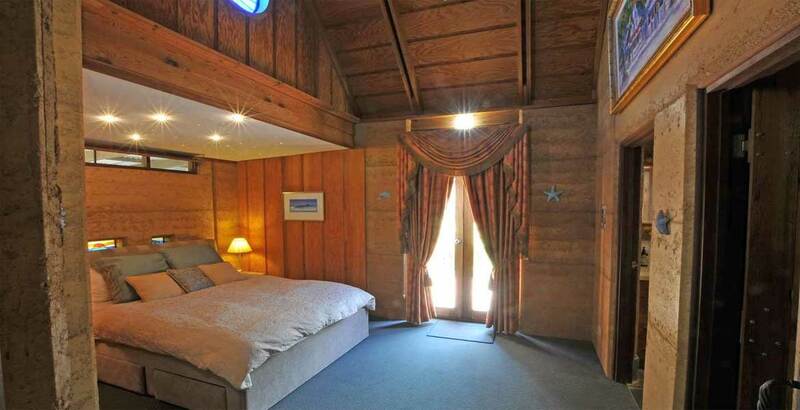 All Queen beds are super comfortable with block out curtains.